With the arrival of spring and the mildest months of the year, many are those who have already decided to undertake their pilgrimage begin to prepare the trip. Some think of doing the Camino de Santiago alone, others accompanied, some prefer the French Way and others get away from everything and everyone on routes like the Primitive Way, and the truth is that the Jacobean Route has room for all of us. Regardless of where we depart; From any point of the Iberian Peninsula or anywhere in the world. 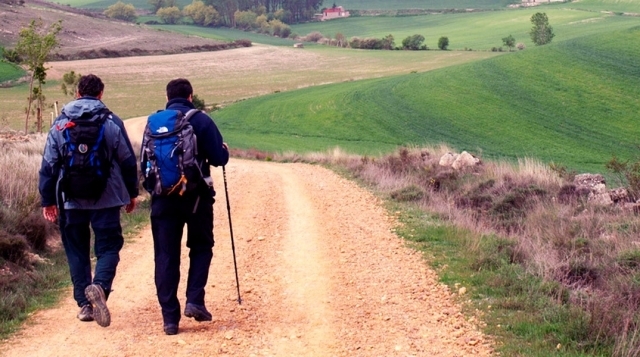 Each year the Camino de Santiago phenomenon becomes more international and little by little the number of foreign pilgrims is cutting the ground for the nationals. Where do the pilgrims who make the Camino de Santiago come from? We throw some rather curious information about the places of origin of the walkers that we will find on the routes of Jacobs crossing Spain in all directions, taking as reference the official data of the latest year available (2015) in the statistics of pilgrimages provided by the Office Of the Pilgrim. Although it is only data from 2015 sure that will serve to make an assessment of the prodecencia of the pilgrims. Spain, by tradition and closeness, remains as you can imagine, the country that brings more pilgrims a year. Nevertheless in the last years the Italian pilgrims are more and more numerous in the routes jacobeas; The transalpine country has already overtaken Germany as the second country that brings more pilgrims. The third is the Germans and the fourth the Portuguese, which exceed lso 12,000 pilgrims a year. To emphasize that from Lisbon leaves the Portuguese Way north direction until Santiago, second route in importance in the Camino de Santiago. It is noteworthy the fifth place in France, which does not reach 4% of the total number of pilgrims, even with Spain and a majority of Catholics. Despite the distance, American pilgrims travel every year to the Camino de Santiago, already surpassing the Portuguese and assuming 5% of the total. From South America the Brazilian pilgrims stand out; Almost 4,000 cross the Atlantic every year to make the Way. Above the 1,500 pilgrims we find Mexicans and Argentines. Among the rest of the world, we find pilgrims in the antipodes of the globe with respect to Spain. 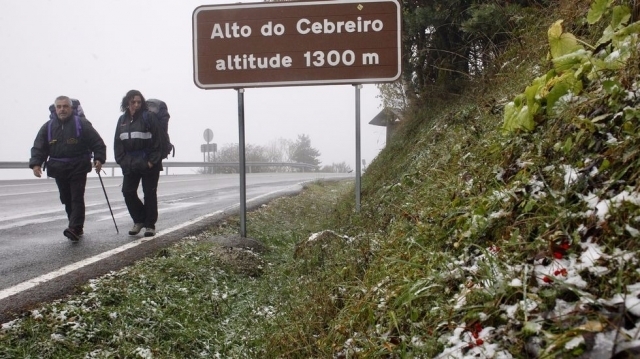 The most numerous, although many do not know, are the Koreans, who with a 30% Christian population, move to the Camino de Santiago every year in the coldest months (coinciding with their winter vacation time). Australians are also numerous, just a little behind the Koreans and right behind them we find the Japanese, who exceed 1,000 pilgrims each year. Autonomous communities with tens of thousands of pilgrims each year as Madrid or Andalusia alone exceed the figures of countries like Germany or Italy. Catalonia and Valencia contribute almost the same figure, approaching 15,000 annual pilgrims and just after Galicia, whose pilgrims for reasons of closeness usually travel sections of a few stages to Santiago de Compostela both along the French Way, as the Portuguese Way, English or Primitive, among others. En verano y en invierno. El invierno coincide con parte de sus vacaciones/receso en su ajetreo anual/estudios, así que también muchos aparecen en pleno invierno y se meten en "fregaos" con el consiguiente rescate.